January 29 – League football has returned to Sierra leone despite the country still being suspended internationally by FIFA. Fourteen clubs were invited to play in the new Premier League, however FC Johansen, the team owned by and named after Sierra Leone FA president Isha Johansen turned down the offer to participate. In October FIFA suspended Sierra Leone over government interference, the culmination of a row stemming from the decision of Sierra Leone’s anti-corruption commission to sack Johansen and general secretary Christopher Kamara during an ongoing probe into corruption and mismanagement. Johansen has been set aside by the country’s Commission pending the outcome of a case against her even though she is still recognised by FIFA. 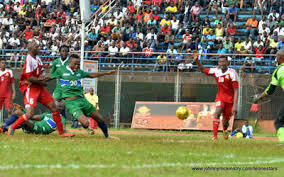 The opening day of the league on Sunday saw the Siaka Stevens Stadium in Freetown full to its official capacity of 35,000, the highest attendance for a domestic game since 1990. The match was also shown live on national television a first for the Sierra Leone Premier League. The Premier League Board (PLB) is running the league and its chairman Emmanuel Saffa Abdulai says they are now ready to revive domestic football. “I’m delighted that our domestic football is back, the turnout of the opening match was massive, I can’t believe my eyes. It’s clear that we’re now ready to revive the game,” Abdulai told the BBC . SLFA officials also attended the match and its director of competitions Sorie Ibrahim Sesay says the league has their full backing. “We playing the league with the hope that our suspension will be lifted by the time the league ends so that we’ll be able to engage our clubs in African continental club competitions,” Sesay said.